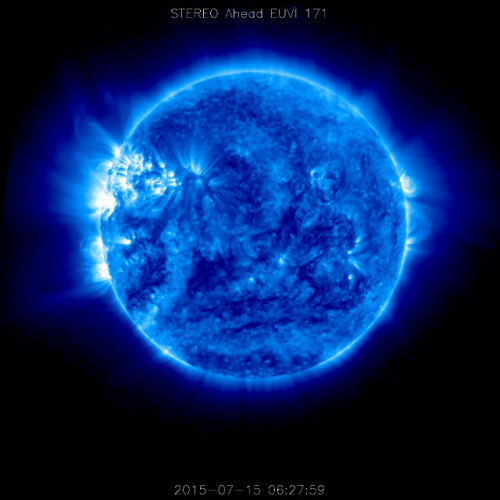 NASA’s STEREO-A (Solar TErrestrial Relations Observatory Ahead) space probe has resumed contact with the Earth a few days ago after more than three months and on July 15 sent new photographs of the other side of the Sun from the Earth. Its EUVI (Extreme UltraViolet Imager) instrument was used to take photographs at a wavelength of 171 angstroms, invisible the human eye, then colorized in blue to allow us to appreciate them. 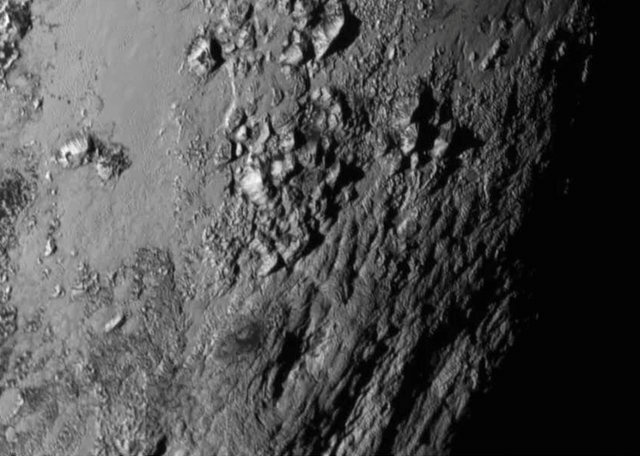 NASA unveiled the first of the long-awaited photographs taken by the New Horizons spacecraft during its Pluto flyby that took place on July 14. They reveal among other things the presence of mountains even 3,500 meters (11,000 feet) high. A photo of Charon taken on July 13 was also released and it shows several fractures on its crust. These close-up images show geological activity on both Pluto and Charon, an unexpected fact. 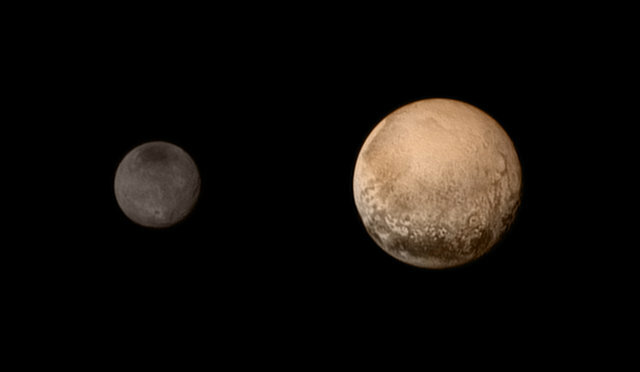 Today, NASA’s New Horizons space probe will carry out the much anticipated Pluto flyby. When at NASA’s mission control center it’s early morning, it will pass at a distance that will reach a minimum of 12,500 kilometers (about 7,800 miles) from the dwarf planet. All New Horizons’ instruments will be used to analyze Pluto as ever before but some time will be devoted also to its moons, particularly Charon. 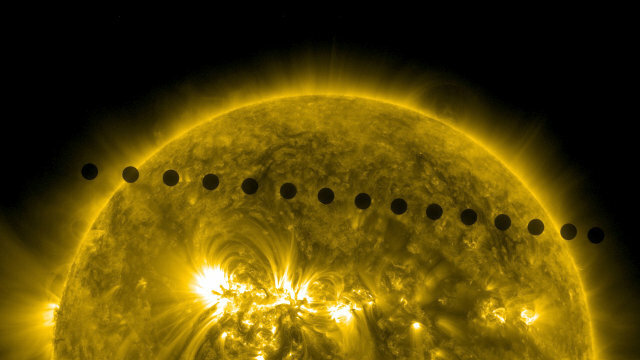 In the journal “Nature Communications” an article was published on the study of images of the planet Venus taken during its transit, its passage between the Sun and the Earth, which occurred in June 2012, taken by two satellites: NASA’s SDO and NASA and JAXA’s Hinode. This research allowed to look at Venusian atmosphere in a different way measuring the way it absorbs the different types of light. This type of study allows to get important clues about the presence of various chemical elements in the atmosphere’s layers. It will also be useful to improve the techniques to examine exoplanets’ atmosphere. 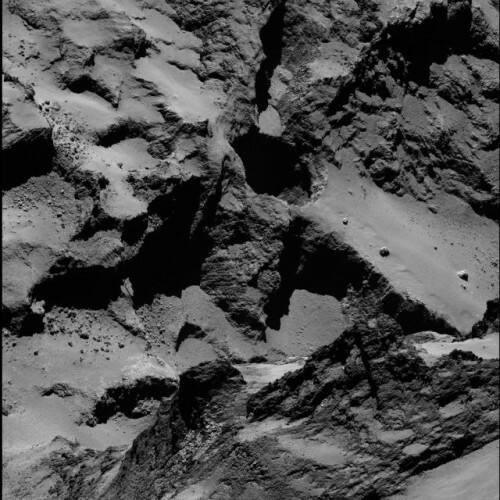 An article published in the journal “Nature” describes a research on a series of 18 pits on the comet 67P/Churyumov-Gerasimenko. They are nearly circular and some of them are a source of activity, emitting jets of gas and dust. They were discovered a long time ago but an analysis of the images collected by ESA’s space probe Rosetta’s OSIRIS camera allowed to establish that probably they were formed following a collapse of the surface.